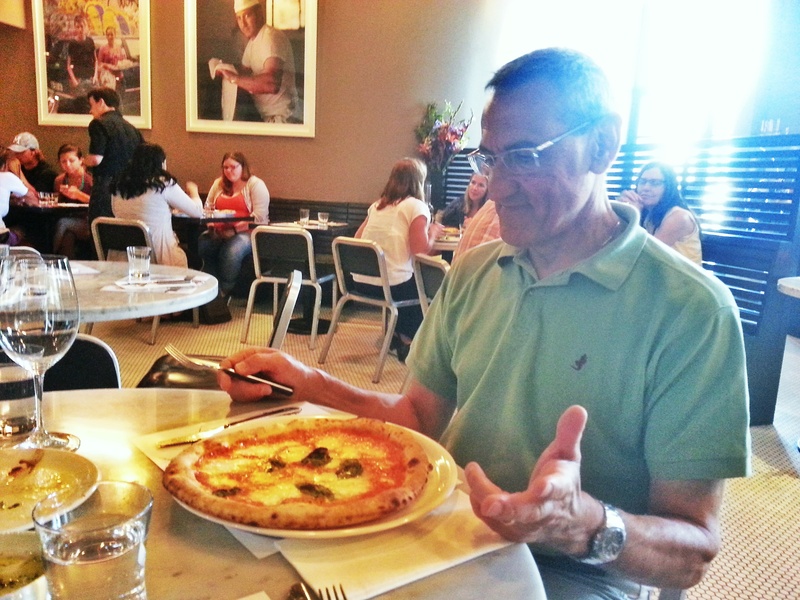 I had the profound pleasure of escorting a Marchegiano gentleman, Claudio Morelli, around Colorado a few weeks ago. We were there to teach people about his wines, all indigenous varieties from the Le Marche. His vineyards are perched on the hills and terraces of Metauro, in some of the northern-most vineyards of the region near the seaport town of Fano. I learned a lot about this obscure part of Le Marche during our time together. I was surprised to understand how close some of Claudio’s vineyards in the Metauro DOC are to the Apennines. One of the many stunning vistas from Le Marche’s rugged beaches. In addition to learning about the winery and Claudio’s wines, I also picked up a few local traditions. 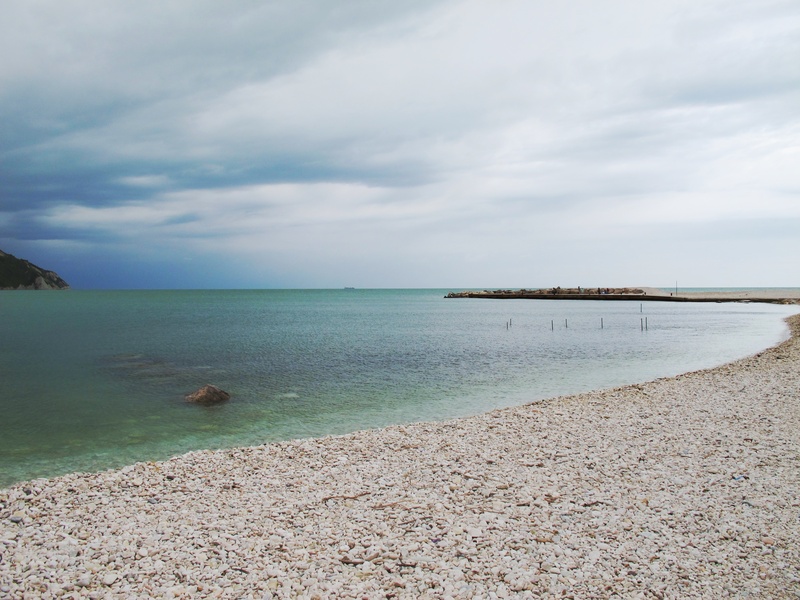 This part of Italy is on the Adriatic Coast, and logically fishing is a big part of the indigenous culture. There is a local hot cocktail of sorts that has been developed over many years as a way to keep the fishermen warm (and awake) while at sea. Claudio explained to us that he remembers his Grandmother making this for the fishermen at the local Trattoria the family once owned. It is called “La Moretta”. Image of the preparation for La Moretta by La Tavola Marche. 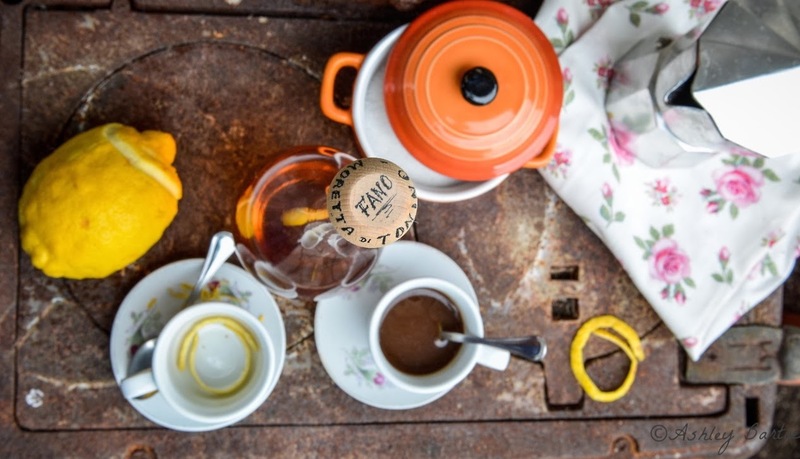 The La Moretta is a type of hot toddy which uses hot coffee (strong, Italian-style short coffee), combined with Anisette, Rum, Cognac and a little sugar- all poured over a piece of lemon rind. Claudio’s face lit up when he described how his grandmother would make this little beverage. 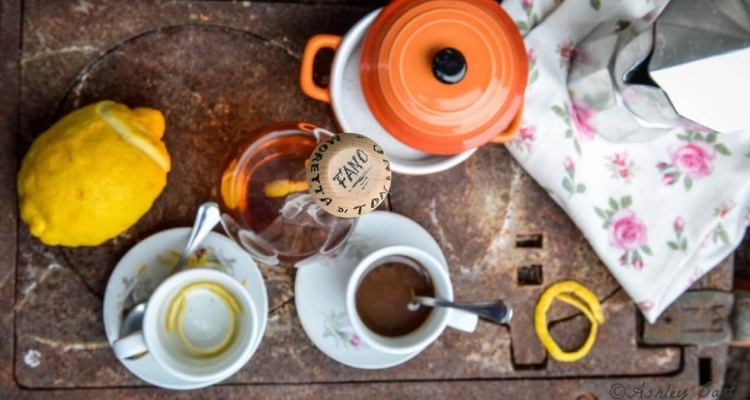 He smiled softy and described how the lemon rind, which soaks in this warm aromatic brew, is the perfection of finishes to a great meal as it helps to “pulisce la bocca”– clean your mouth. 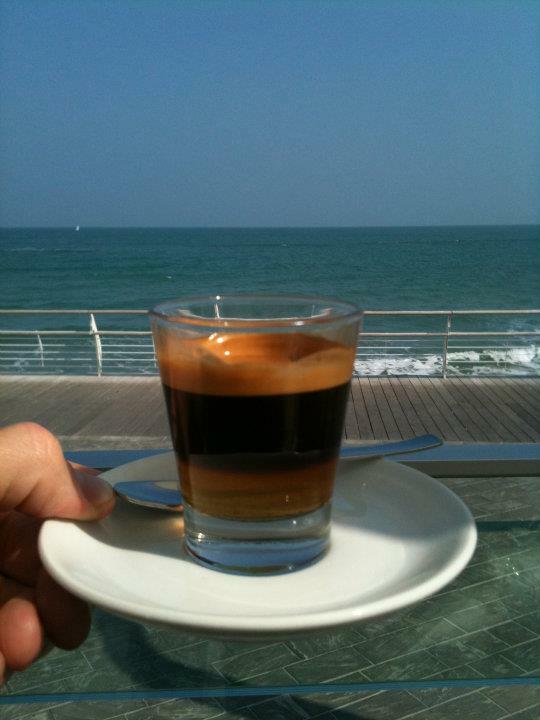 A perfect Moretta in Fano. The La Moretta is served layered like this now, but Claudio’s grandmother would have heated the whole thing together in a small double-boiler before pouring over the lemon rind. It’s easy to see the connection between wine and terroir- grapevines and the bottle. Yet sometimes we overlook the other comforts of home- flavors and aromas and other sensory traditions better not-forgotten. I couldn’t help but notice the similarity between this little tipple and the way my grandfather used to enjoy his coffee- a splash of Sambuca and the requisite lemon rind. I am pretty sure Papa John would have loved Claudio (and La Moretta). 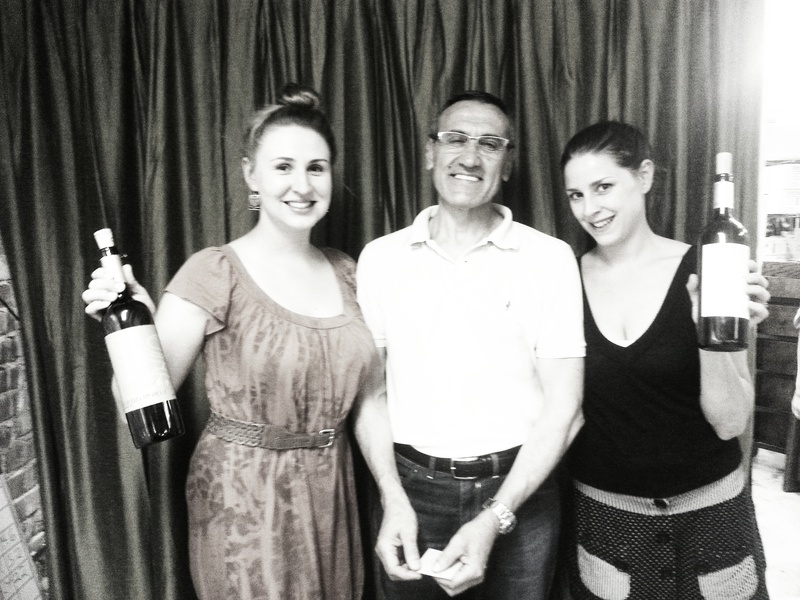 Claudio Morelli and the ladies of Marczyk’s Fine Foods. Congratulations (by the way, I’m fond of moretta 😉 !!! Thanks Simona! I am so happy you found this little article. 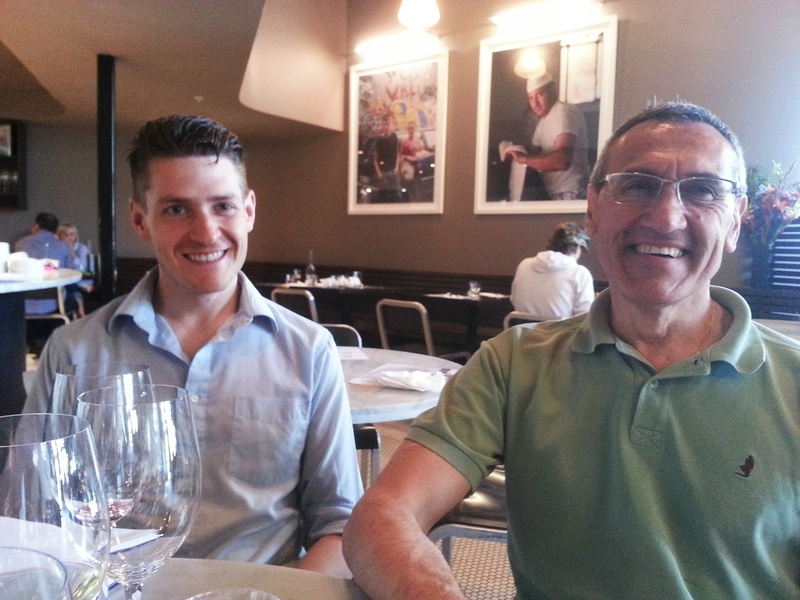 I loved spending time with Claudio and learning all about the marche. I hope to visit soon! Well, if you do, let us know. If you come, I’d be glad to treat you to a cappuccino and show you around! This is neat, love you.